My blog originally started out as a college project, however when I discovered how much I enjoyed it it quickly became a hobby and a creative release. 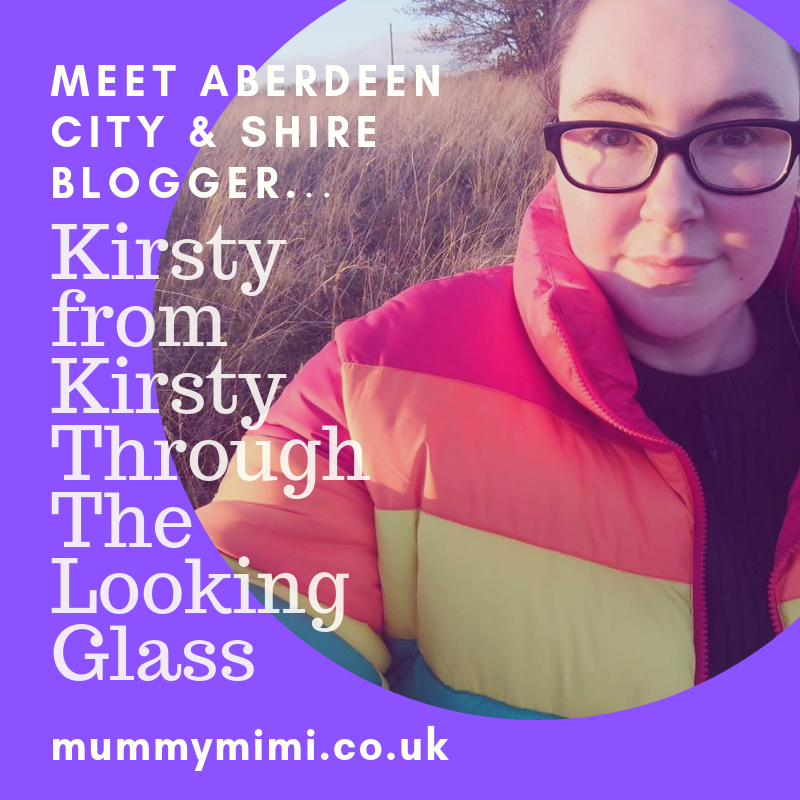 I write about all sorts of things but class myself as a “travel and lifestyle” blogger – I have written about everything that’s not parenting, politics and fitness pretty much! Thing about Aberdeen City & Shire: I love the contrast between city and shire and how complementary they are, the community spirit and the resilience. Thing to do: I like to go out for a walk in the countryside and explore new places. Place to Eat: For a meal at the moment I love The Rustic Grill (Turriff) or Chop (Aberdeen), and for a fly cup I really enjoy a trip to Annie’s Cakery (Macduff) or Delgaty Castle Tea Room. Place to Visit: I’m a fan of the castles, and there’s no shortage of them in this area! Place to Shop: I enjoy a trip into the city centre for the big shops as much as the next person, but I find that the small local shops in the shire’s towns offer a greater experience and often have that ‘something a little bit different’ that you’re looking for. I’m a big fan of Gift Alley (Turriff) at the moment, I’m constantly scrolling through their social media to see what new things have arrived! If I had to move from the area I would most likely move north towards Moray and the Highlands – I love the countryside vibe. Oh my list is so long! I think either Iceland (northern lights) or Liechtenstein are probably at the top of the list. I love the views! It’s a beautiful country, whether you’re in a city, or the countryside or the mountains. Interrailing – I’ve always liked the idea of travelling from place to place in one trip and seeing lots. Not very exciting, but it would probably be breaded mushrooms with garlic mayo, chicken fillets and chips and then sticky toffee pudding – all homemade of course! My favourite TV show of all time was CSI but unfortunately they don’t make it anymore. I love Disney movies as well as Harry Potter and Lord Of The Rings. My job doesn’t allow me much spare time, but the spare time I do have I like to spend just relaxing with a book or the TV or spending time with my family. Favourite Youtube Channel: Glam And Gore!